Hollis “Hal” Melton, 94, and his niece Marie Simcox, 47, visited Washington, D.C. together on the Sept. 11 Honor Flight (of West Central Florida). Both are veterans. He served in the U.S. Army during World War II, and she served in the U.S. Air Force during the Gulf War. Hollis “Hal” Mellon was only 19 when he was shot in the hip by German artillery fire while on patrol in Metz, France. It was Sept. 11, 1944, and World War II was raging. 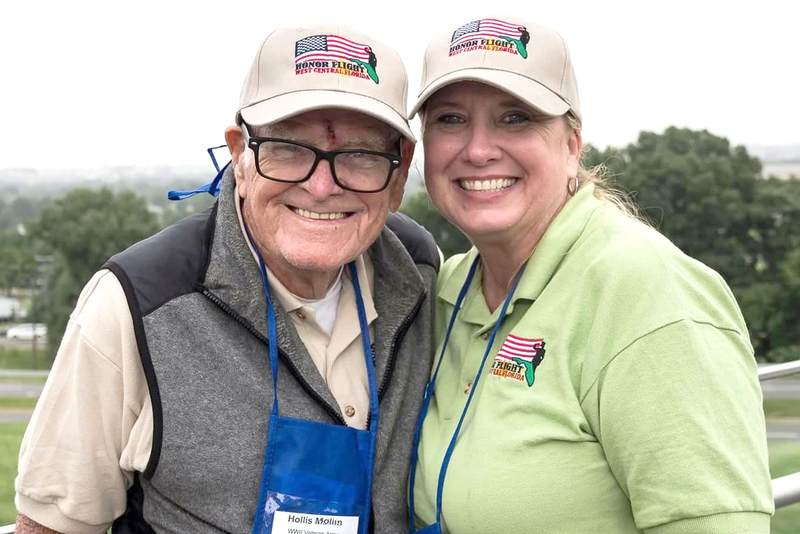 More than seven decades later, the now 94-year-old Riverview resident was invited to go to Washington D.C., this Sept. 11, by Honor Flight of West Central Florida. Nominated by a neighbor and sponsored by Neil Norden, director of sales for Talking Rain Beverages, Mellon traveled with his niece Marie Simcox, a Gulf War veteran who served in the U.S. Air Force on active duty and in its reserve for 16 years. The Honor Flight had many special touches, said Simcox, 47. “When we left and landed the runways were lined with police and first responders,” she said. “While on the plane, there was mail call, and when we arrived home, a large crowd of people clapped and cheered. The tour in the nation’s capital included visits to numerous memorials, including those for World War II, the Korean and Vietnam wars, Air Force and Lincoln. This is a photo of Hollis “Hal” Melton at age 19, when he was a private in the Army infantry during World War II . He came home with both a Bronze Star Medal and Purple Heart. Mellon enlisted in the U.S. Army in January 1944 and served in the European Theater of Operations during World War II. 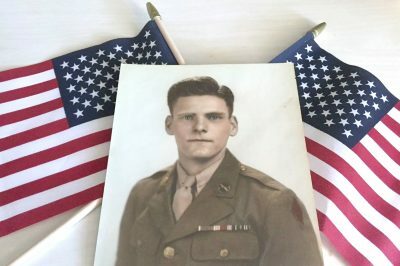 He fought at the Battle of the Bulge and came home with both a Bronze Star Medal and Purple Heart. Six months after the war ended in August 1945, he was discharged from the service and returned home to his family farm in Indiana. Having grown up there, he said the only skills he had were “milking cows and tending the farm. That experience was put to good use over the next four decades at several companies, including IBM. He retired in 1988. Mellon was married for 69 years to Doris Virginia Wright. They had three children, 10 grandchildren and 15 great-grandchildren before she passed away three years ago. This memento of Hollis “Hal” Melton’s Sept. 11 Honor Flight now sits on a table in the foyer of his Riverview home. Since then he has lived alone on their three-and-a-half-acre property, which he continues to mow himself. He plays several instruments, enjoys mathematics and likes to travel. Having been to Ireland many times to research his heritage, he wrote a book about his grandfather but never published it. Mellon eats at Fred’s Market Restaurant in Riverview every day and has a table dedicated to him. On his 94th birthday this year, the eatery made his special chili as one of its soups of the day. 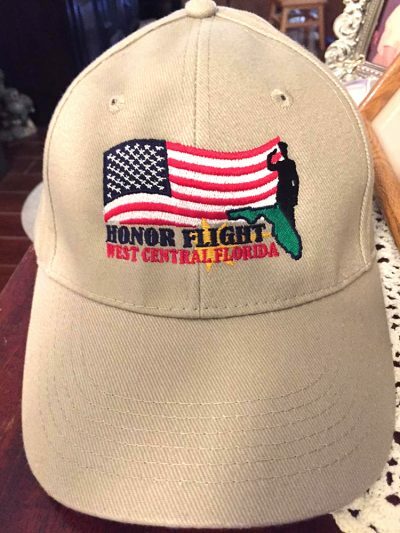 Honor Flight of West Central Florida, a 501(c) 3 nonprofit organization, was established in October 2010 as a regional hub of the National Honor Flight Network. It receives no government funding and relies entirely on donations to support its mission of transporting war-era veterans at no cost to them to Washington D.C. to visit the memorials honoring their service and sacrifice.